DFL legislative leaders and Gov. Pawlenty have not met since the governor delivered his ultimatum on the budget. Instead, Pawlenty's top commissioners were forced to appear before committees to detail the governor's spending cuts. Pawlenty said his budget solution would impact health care programs, aid to local government, schools and higher education. Sen. Tarryl Clark of St. Cloud was one of many Democrats who pressed Minnesota Management and Budget Commissioner Tom Hanson for specifics. Hanson: "We're in the process of putting together more details. We had a lot of discussion last night about the decision. That is something that he's willing to do when there's adjournment on Monday if no agreement is being put together." Sen. Clark: "Frankly that's not good enough. People need to know now what the impact will be. You've decided what that will mean and our districts have to know what that will mean." Clark added that Pawlenty's move is a power play and said the problems are too big for him to handle by himself. Other lawmakers at a joint House/Senate hearing questioned the state Education Commissioner about the impact of possible school payment delays. Other lawmakers warned that possible cuts in aid to local governments would mean higher property taxes and cuts to police and fire departments. DFL Rep. Ann Lenczewski worried that Pawlenty's proposed cuts to Local Government Aid will be much deeper than his initial budget plan. "That was the starting point and now we're in a way worse situation than that," Lenczewski said. "We've got another forecast since then. And I'm assuming that this has got to be the floor if we don't come to an agreement over the weekend." While some lawmakers were pondering the impact of what Pawlenty could do, others were analyzing what he's already done. Pawlenty started trimming the budget on his own on Thursday night. He used his line item veto power to cut more than $381 million out of the health and human services funding bill. Up to 35,000 people could lose their health insurance in 2011 as a result of the cut. Hennepin County Medical Center's Michael Belzer said those people are the poorest and sickest in Minnesota. He said cutting the program doesn't mean they would stop coming to the hospital. It just means the hospital won't get paid for treating them. "I think we could build fewer bridges, maybe pave five fewer freeways or put a couple more kids in the classroom," Belzer said. 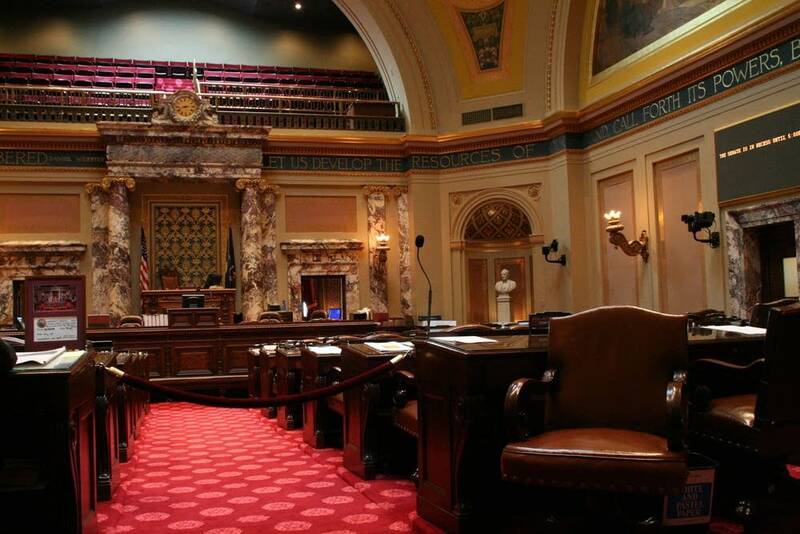 "No doubt these are annoyances to what we think is important to the Minnesota lifestyle But these actions don't add to the burden of ill health and death to a voiceless population that cannot defend themselves at these hearings." For his part, Gov. Pawlenty said about half of those enrolled in the program he cut would be eligible for other subsidized health insurance programs. He added that the cost of the program has been growing by 30 percent each budget cycle. Pawlenty added that he's still willing to negotiate with DFL legislative leaders to avert cutting the budget on his own. "Our preference would be to reach a global agreement with the DFL controlled legislature. I think that would be a good outcome for the state of Minnesota," Pawlenty said. "But they've been there for five months. They've had our budget for five months and they've been unable to produce a budget and then they came forward with bills that spent more than they have." The biggest sticking point is finding $1 billion in revenue. The governor has proposed borrowing $1 billion, DFLers prefer tax increases. DFL House Majority Leader Tony Sertich said Democrats will attempt to override Gov. Pawlenty's veto of their $1 billion tax bill. He said that would give Republicans the option of increasing income taxes on the state's top earners and alcohol taxes or allowing the governor to make unknown budget cuts. For their part, Republicans lawmakers have been pushing for an agreement. Republican Paul Kohls urged DFL leaders to meet with the governor. "I would prefer to see us collectively the Legislature and the Administration spend our time to come to some sort of agreement where the governor doesn't have to do his unallotment," Kohls said. The Legislature is constitutionally required to finish its work on Monday.